Could Smart Contracts Replace Traditional Contracts? Are They Legally Enforceable? Are smart contracts legally binding? Are they legally enforceable? That’s the question posed by Research Institute in a recent article that appeared on Hackernoon. In this article, we’re going to dig into the legal consequences of using smart contracts to get business done as compared with traditional contracts. We’re also going to look into what makes a contract legal to begin with, and why smart contracts could be even better than traditional ones. But if written poorly or containing unenforceable terms, a smart contract could be completely worthless. Now that we know a smart contract can be legally enforced (assuming it meets all the requirements of being legally enforceable), how does it differ from a traditional contract? Moreover, what advantages or disadvantages does one offer over the other? One way that smart contracts have a clear advantage is the ability to prove their authenticity. A paper contract or other non-blockchain based electronic agreement has a much higher chance of being faked, altered, or otherwise suffering from intentional manipulation. 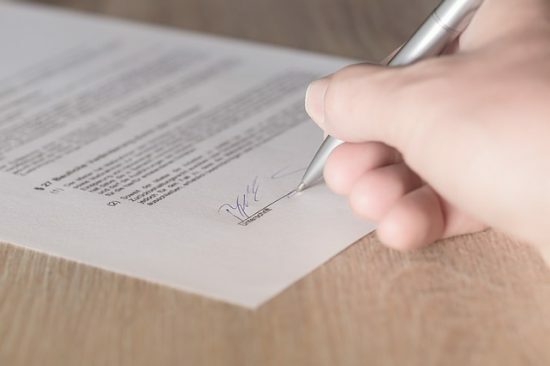 One classic example would be asking someone to sign multiple copies of what appears to be the same contract, when in actuality, one or more of those copies are worded slightly differently without the knowledge of the person signing it. This kind of fraud is illegal in most jurisdictions, but it can be complicated to prove if the fraud is pulled off in an effective enough way. With a smart contract, the agreement is stored on an immutable blockchain that is time stamped and distributed across potentially millions of nodes. This makes it nearly impossible for either party to alter or manipulate the contents of the contract. 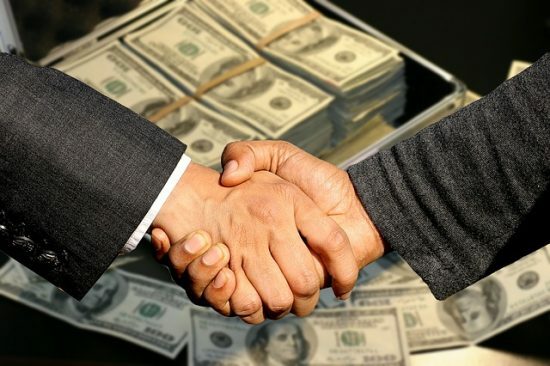 The second issue with traditional contracts is that they could potentially be drawn up and signed without the consent or knowledge of one party. 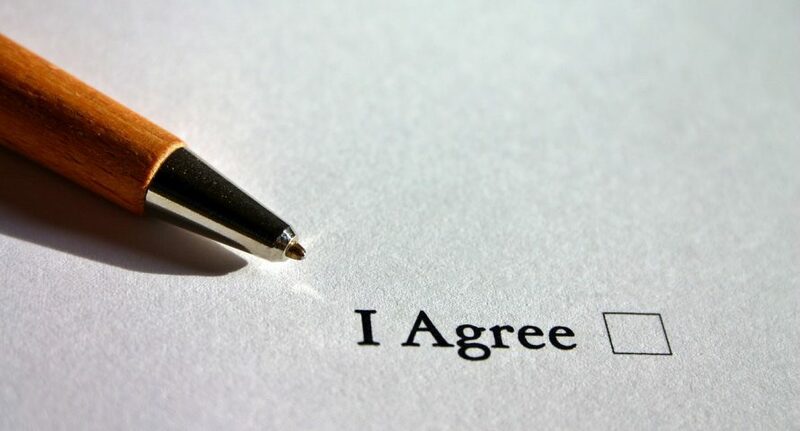 For example, using an automated signature device, typically known as an autopen, someone could print up false contracts and sign them themselves without the consent or knowledge of the supposed other party. With a blockchain-based smart contract, digital key signatures provide nearly indisputable proof of the authenticity of the agreement on both sides. A hand signature, or what we currently know as an electronic signature, are both far more prone to fraud and manipulation than an encrypted digital key signature. Smart contracts are not bulletproof, however. For a contract to be legally enforceable, all parties involved in it must be lawfully identifiable. Think of it this way–most transactions that occur through cryptocurrency networks are pseudonymous. In many cases, both sides of an agreement may only know each other by their Ethereum addresses. 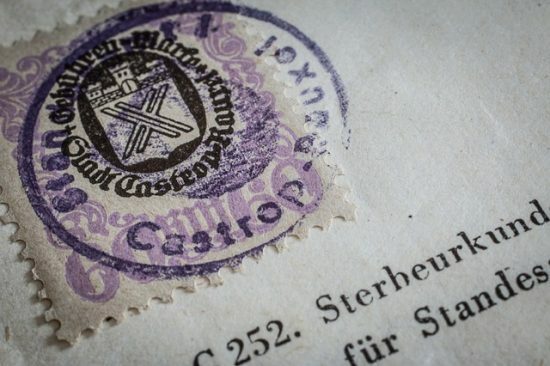 If one side were to attempt to take the other to court, it could be nearly impossible to enforce simply because the court cannot identify the other party using only an Ethereum address. You cannot sue someone you cannot find. Requiring identification or KYC measures could help alleviate this, but there is still a high risk of fraud if the two parties do not definitively know each other. Another big potential flaw is in the code itself. If a smart contract is written poorly, then it could be rendered unenforceable. The same logic applies to traditional contracts. If a contract is written in vague terms and contains a lot of generalities, it could be deemed invalid by a court of law. A contract written purely in code would be subject to the same provisions. Or, if a smart contract relies on a separate written contract made up of natural language, that natural language, if poorly written, could also nullify the agreement. If a smart contract includes provisions that would necessitate breaking the law, no court would uphold the agreement if a dispute were to occur. For instance, if someone made a smart contract to have someone assassinated, such a contract would be considered unenforceable if the would-be assassin backed out at the last minute. In that way, they are no different to traditional contracts. One of the reasons why smart contracts have been gaining popularity since their inception is that they potentially represent a way to create legally binding agreements at very low cost. Making contracts today typically requires hefty legal fees, expensive electronic contract providers, and other types of services that provide verification and auditing. Smart contracts could revolutionize small businesses and startups as they would give them access to quick and easy, legally enforceable contracts. Further, it’s safe to imagine that many of these contracts will not require much code at all. For instance, blockchain-based non-disclosure agreements could become standard, and those will not likely need to contain much functional code at all. Instead they could be merely a database entry that could be invoked in the event of a breach of contract. If smart contracts do end up going mainstream, it’s very likely that this process could take decades. That’s because right now, smart contracts are still relatively untested, particularly in courts. Therefore, don’t expect to see industry titans putting billion-dollar agreements exclusively in smart contracts just yet. But given enough time and attention from courts, we could see smart contracts replacing traditional ones altogether at some point in our lifetimes. What do you think? Is the future bright for smart contracts?